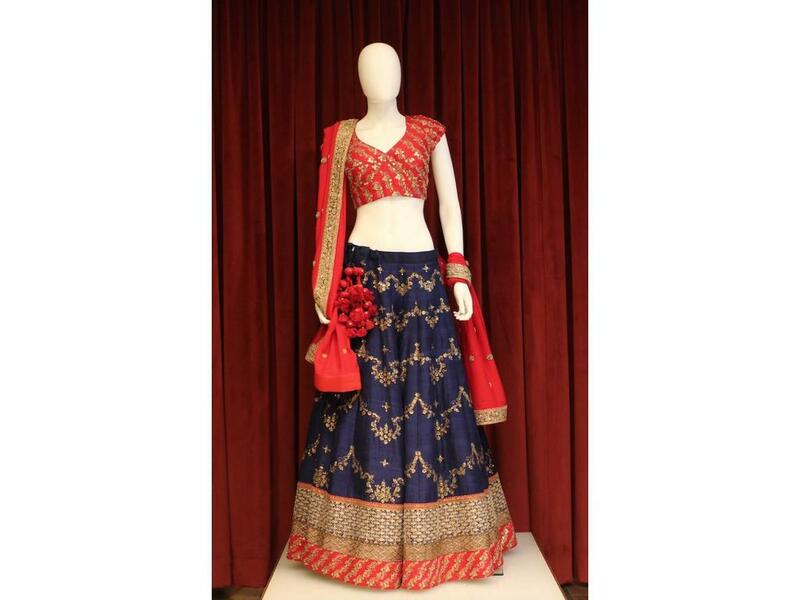 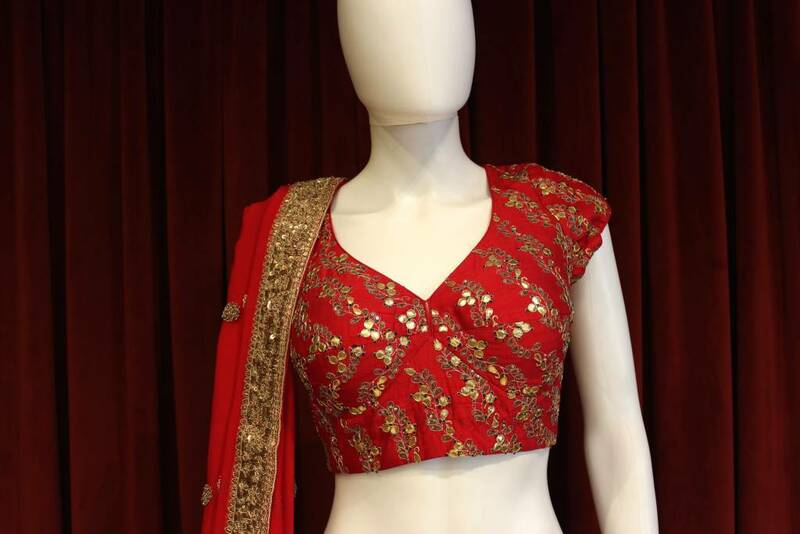 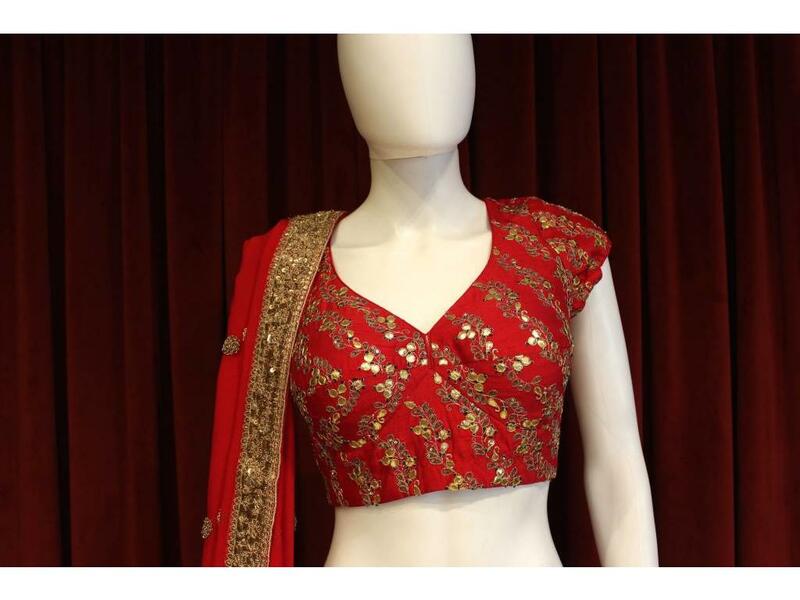 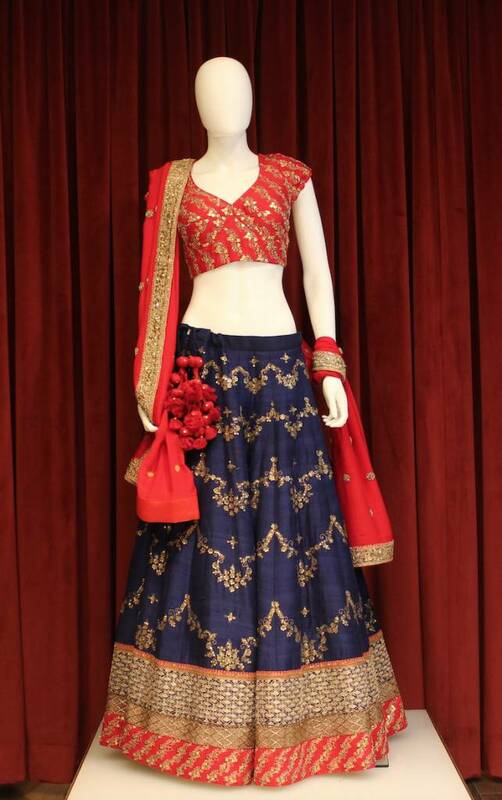 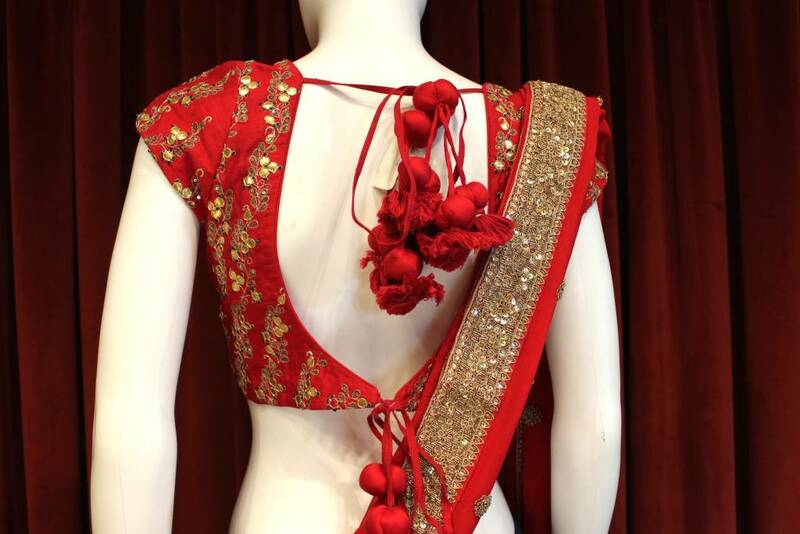 Full sequence red blouse with golden threadwork. 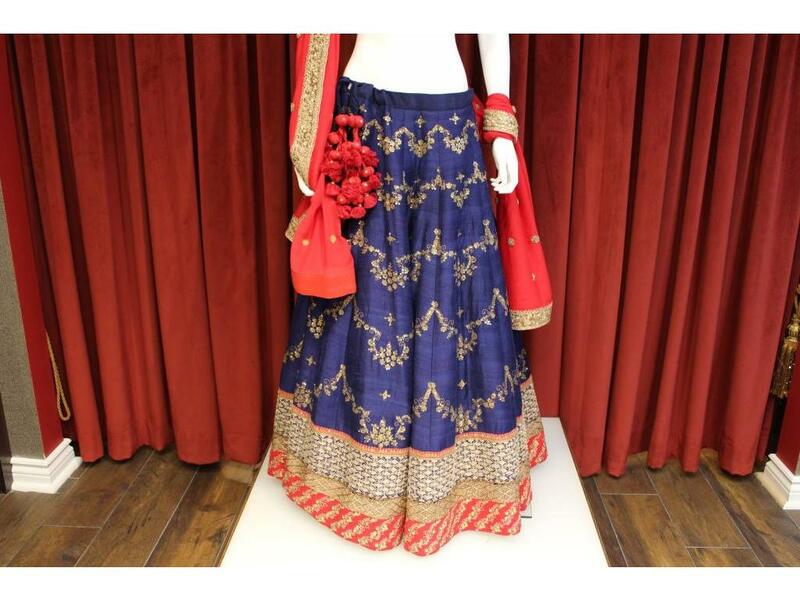 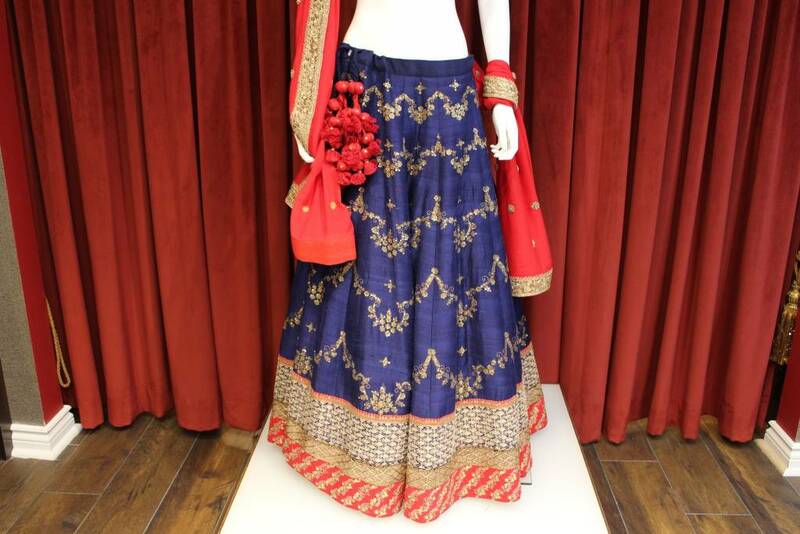 Navy blue skirt with broad red border. 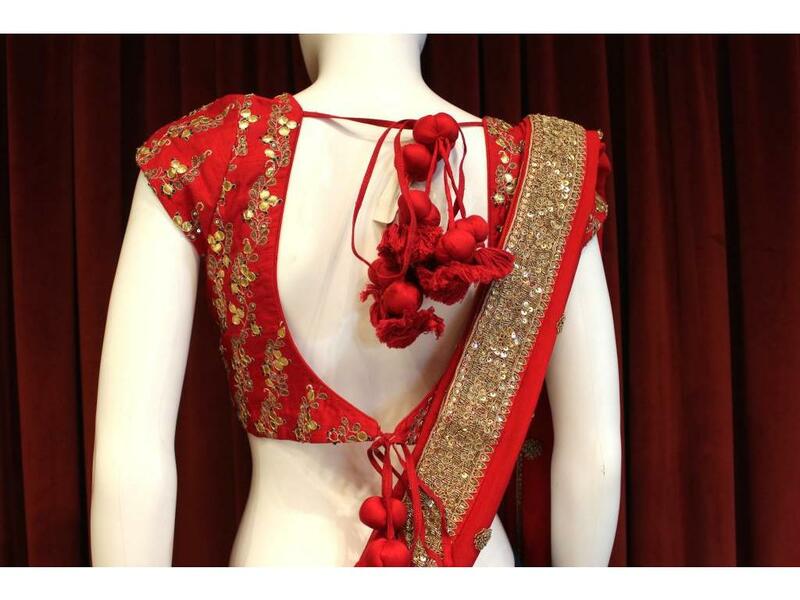 Red dupatta with golden border with even pattern of flowers.